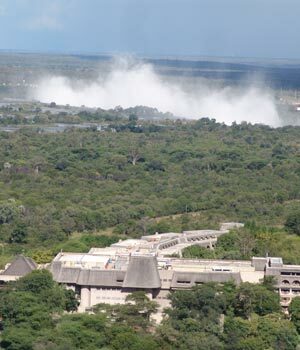 See in the New Year like never before and experience the world's greatest adventures at the 7th Wonder of the World, Victoria Falls. The famous train party: Take a five hour vintage steam train journey through the Victoria Falls National Park to a secret location deep in the African bush. With Sub-Saharan Africa DJ's pumping top tunes through the classic carriages, you'll be in full party mood when you disembark at the secret stage set up under the African skies. After selling out in record time last year, the organisers have made the exciting decision to run multiple trips to and from the secret venue, increasing the number of party-goers able to revel in this truly unique experience. It's party time: Prepare for an unparalleled New Year's Eve extravaganza. Over 6,000 revellers, top bands and DJ's from all over Africa, stilt walkers, fire dancers and the best party atmosphere. The power house line-up will be announced as we move closer to the date, but this festival doesn't solely rely on who's playing, it's the overall energy that completes the experience. Hop on a train for a journey unlike any other through the African bush veld with DJ's onboard as you speed past wildlife. The train stops in a secret location in the lion and elephant park for an unforgettable night under the stars with back to back DJ's. 31st Dec: 5pm - 4am - It's party time: Prepare for an unparalleled New Year's Eve extravaganza. There's no better way to see in the New Year than in Vic Falls, One of the Seven Wonder's of the World with non-stop entertainment from a host of amazing artists. 2018/2019 artists to be confirmed but 2017/2018 artists included Tresor, the music sensation from the heart of the Congo, the kings of energetic must-dance-to live performances The Kiffness, Zambian queen of dancehall Mampi and many more. Ring in the countdown with thousands of adventure loving travellers from all over the world, fire breathers, traditional dancers and so much more. 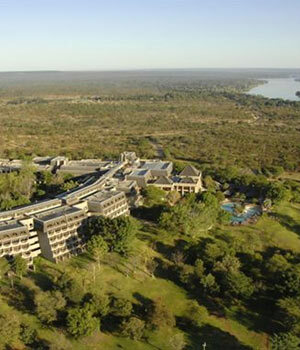 The carnival aside, there is lots to keep you busy in Victoria falls, white water rafting, bungee jumping or the energy sapping activity: cocktail sipping whilst you watch the vulture feeding at Safari Lodge. All festival goers receive 10% off all adventure packages when booked with the festival ticket. *** Please note that all prices are based on the best fares the airlines offer.